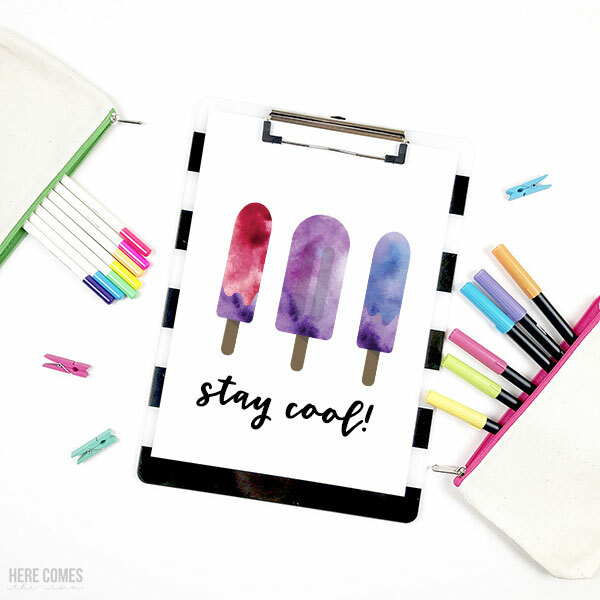 Use this watercolor popsicle clip art for all your summer projects! There is nothing better than having a sweet, delicious popsicle on a hot summer day. Popsicles were the staple of my childhood. My favorites were the red white and blue Bomb Pops. You just really can’t beat those. 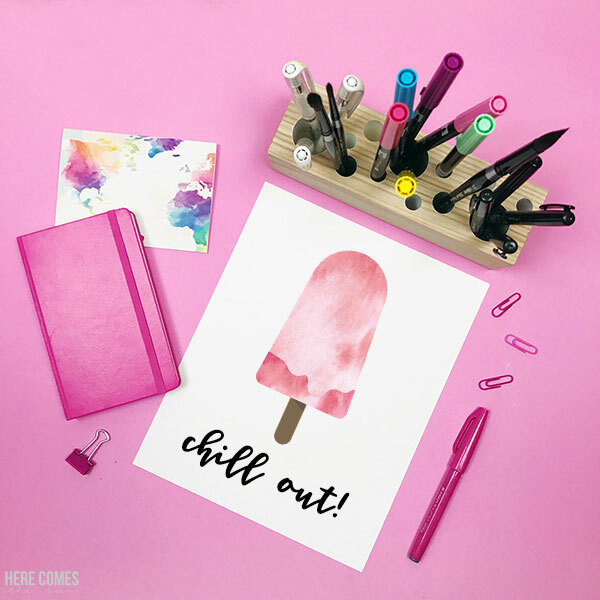 So to honor those summer days of childhood, I’ve created some popsicle clip art for you. Clip art are files that you can use in programs such as Photoshop Elements, Photoshop, Illustrator, Canva and PicMonkey. Does clip art have a white background? If clip art is made correctly, it should be a PNG file with a transparent background. This means that it can be overlayed onto any color background and there will be no white background attached to the image. Is clip art a vector file? No. Clip art is a raster file which means that it will lose resolution if you scale it up too much. How do I open clip art files? First, download the zip file and save it to your computer. Unzip the folder and save the individual files to the folder of your choice. Next, open up your design program of choice. Most programs will have a FILE>OPEN option or a FILE>PLACE option. Navigate to where you saved your file on your computer to open it in your design program. 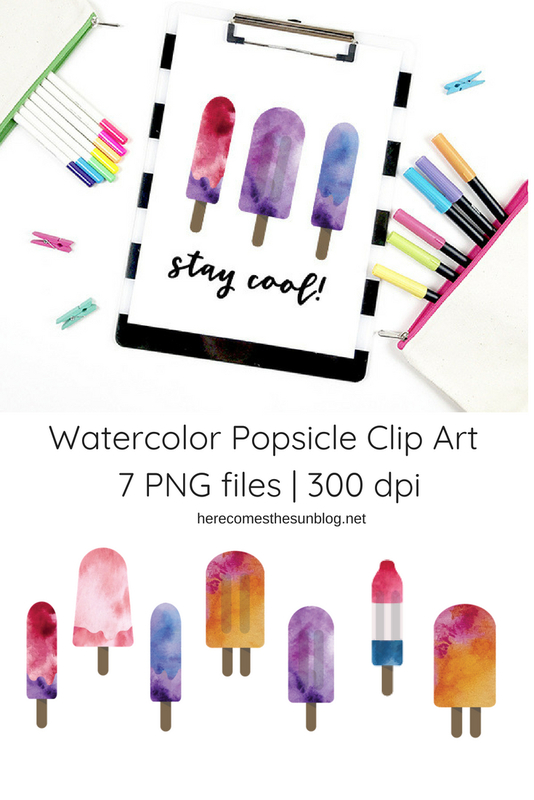 WHAT CAN I MAKE WITH THE WATERCOLOR POPSICLE CLIP ART? My favorite things to make with clip art are prints. 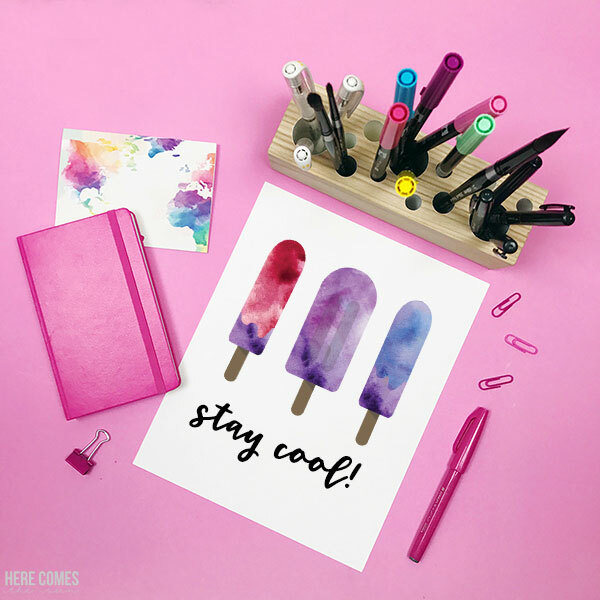 You can make this fun print shown below by adding some text to your layout. One of my favorite places to find amazing fonts for my prints is Creative Market. If you like the font that I used below, it is called Miss Magnolia. You can also create fun greeting cards, banners, party decor and more using this clip art. Please note that the popsicle clip art files are for personal use only. You may not sell or redistribute them.